Well, this is a kind of individual that is very common. In fact, after a certain age a majority of men come in this category. This is the category of the BALD, things/men/people without any hair and exhibiting shiny surfaces. 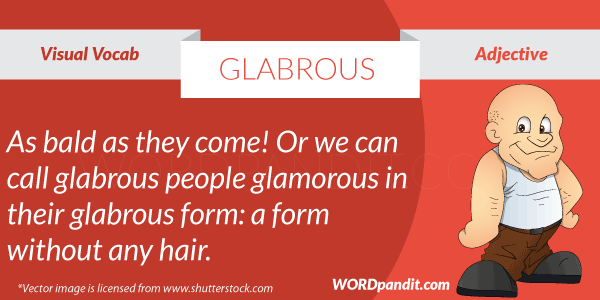 (Glabrous is derived from the Latin Root Glabr-, meaning bald). 1. Everyone’s favorite glabrous, middle-brow, populist television commentator, Harsha Bhogle is back for this world cup. 2. 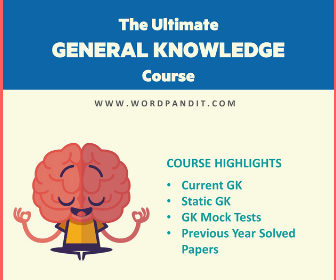 To be glabrous is school can be quite a fashion or a nightmare, depending upon your ability to carry off the bald look.